I love the feeling I get when I’m alone In the woods. Some fear it, I crave it. Make no mistake, I enjoy hiking with my husband, or with groups of friends. But not often in my day-to-day life do I get to make every single call, and when I'm on a solo trail run or exploring a hike alone, every next move is my choice. I get to choose whether I go left or right, walk or run, stop and look at that the mountains or take of picture of the way the leaves have fallen so perfectly on the trail. There isn’t a single person to please but myself. I can’t think of a more calming way to work through mental battles and dig deeper into them, or to clear my mind of them completely. The deep inhale of fresh fall air, the rotting leaves and distant smell of wood burning.. it’s my own personal choice of incense. I have struggled with anxiety and momentary feelings of depression for several years now, and I firmly believe there is no sensation more euphoric and soul cleansing than giving myself space in nature. I find it to be the most natural way to find my zen, my balance, my inner peace. When I’m trail running, I feel so present in my life. I am aware of every step I’m taking and every obstacle that I’m about to encounter. My brain is communicating so rapidly with my body to ensure I stay safe and free of harm. The balance between the two is so delicate, Any slight distraction to My mind and I can fall into a world of hurt. It’s a constant reminder to harness that control. It’s not just a powerful sensation, it’s paramount in my overall well-being. 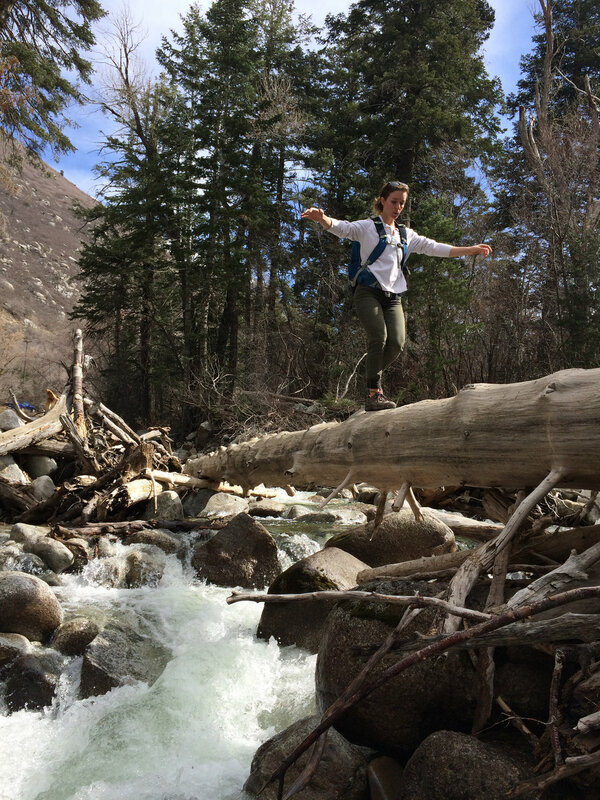 Tanya is an adventure seeker, trail runner and climber of rocks. She is married to the man of her dreams. He's the rope to her harness, the map to her trail & the fire in her lantern.